The below poster was sent to us by a tipster who claims they are "ALL over Princeton." 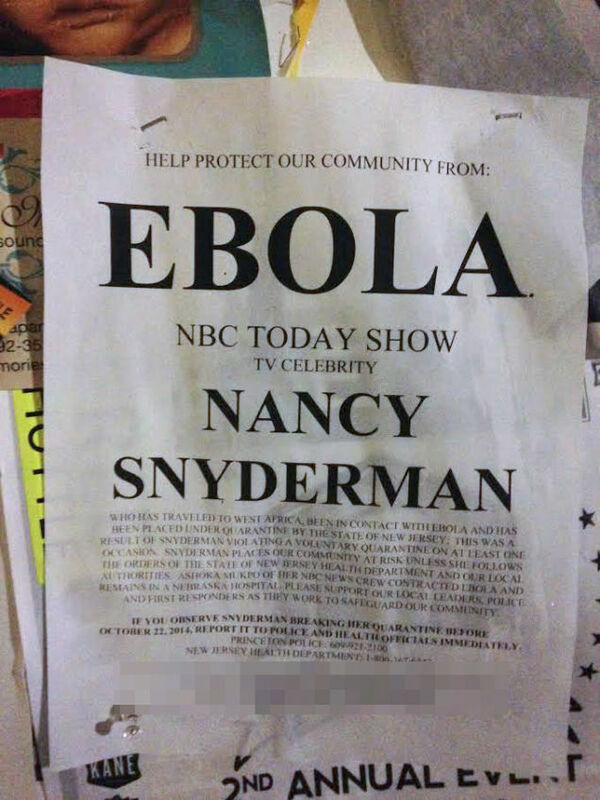 It reads in part: "SNYDERMAN PLACES OUR COMMUNITY AT RISK UNLESS SHE FOLLOWS THE ORDERS OF THE STATE OF NEW JERSEY HEALTH DEPARTMENT AND OUR LOCAL AUTHORITIES." 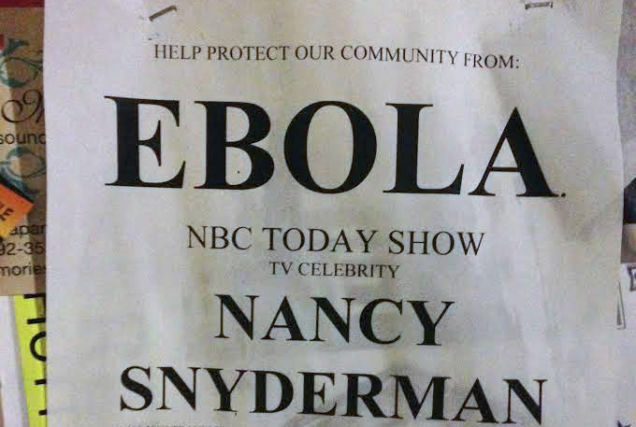 It's worth noting here that Snyderman has not been diagnosed with Ebola, nor has any member of her team besides Ashoka Mukpo, who is currently being treated at a hospital in Omaha. It's also basically impossible to catch Ebola from someone who left her house just to get take out. If you see something (a woman who might have Ebola), say something!